Buy PRESCRIBEDsolutions Don’t Be So Sensitive Post-Procedure Cleanser now. Soothe your complexion with this sensitive skin care cleanser. Your skin needs special attention after undergoing an in-office procedure. 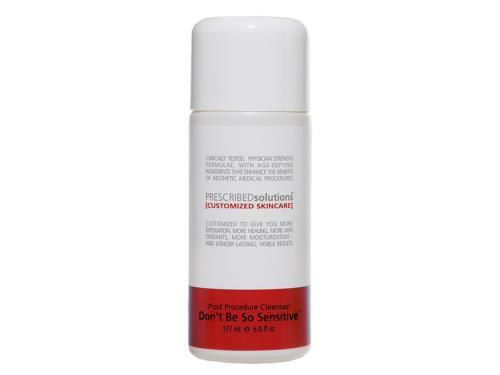 PRESCRIBEDsolutions Don’t Be So Sensitive Post-Procedure Cleanser gently removes dirt, oil, makeup and other impurities. The lightweight, oil-free formula creates a rich lather on the skin, preventing the complexion from feeling dry and tight. It can be used daily on post-procedure skin without causing redness. Soothing panthenol, lutein and allantoin calm the complexion with each use. There’s no risk of irritation or inflammation when you cleanse with this sensitive skin care product. Add a booster to this cleanser for a serious skin care routine. Pair your PRESCRIBEDsolutions Don’t Be So Sensitive Post-Procedure Cleanser with a booster for even better results. 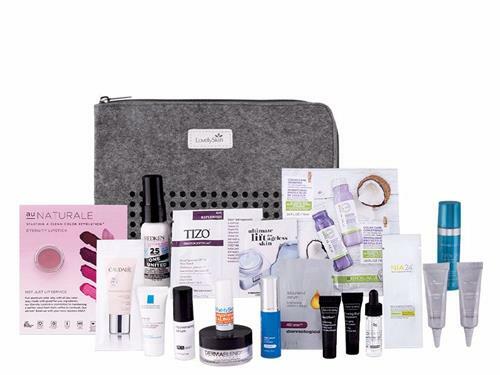 Choose from a variety of boosters to fight acne, rosacea, dark spots and more. Each add-on will help you transform this product into a custom formula for your skin. Although this face wash doesn’t require a booster to be effective, mixing one in will supercharge the formula for the best possible results. Use a booster with this cleanser to create a serious skin care product tailored to your specific concerns. Click here to add a booster to your product. Tell us your thoughts about PRESCRIBEDsolutions Don't Be So Sensitive Post-Procedure Cleanser and receive 50 rewards points! Super gentle, not drying, and a little goes a long way. Also very economical, I'll never be without it. I use this usually once or twice a day. On the days I wake up and do my 6 miles on the treadmill, I wash just with this and put nothing else on my face. For not having anything else on my face, it doesn't leave me very dry. Right after I run I immediately use this again and then my full face wash routine. I also use this for my back which I was told it was good for to prevent break out. This cleanser is gentle enough for after extractions, microdermabrasion, or any other facial treatments but I use it every day to get the squeaky clean feeling! It will wash off dirt and face makeup without stripping your skin, but you will need to use a makeup remover for mascara and eyeliner. 4 stars because I wish it included makeup remover but since I normally don't wear too much makeup I love it. I cleanse twice at night and once in the morning, and each use only requires two small drops of product that you can work into a lather.